Release Heaven’s wisdom, blessings, and power over your life . . . and into your world! In the midst of worldwide shaking and global anxiety, people and nations are searching for answers. They are questioning where they are on the prophetic timeline. Maybe this describes you. This timely repackaged edition of The Ancient Portals of Heaven reminds believers that they are citizens of another world – Heaven. Your life and your world need Heaven’s solutions! 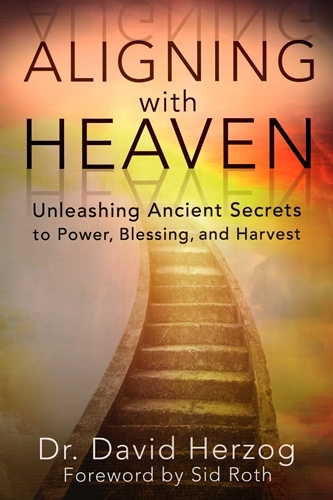 Ministering in and traveling extensively to over countries, including Israel and other Middle Eastern nations, author David Herzog has conducted significant research on the connection between the wisdom of the ancients, Israel, and the supernatural. He will show you how to unlock Heaven’s supernatural solutions and release them to transform your everyday life. How can I align my life with Heaven’s time-clock and calendar? 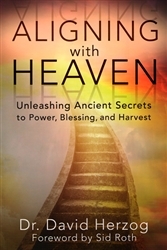 Discover the secrets to aligning with Heave and releasing God’s supernatural blessing, ancient wisdom, and resurrection power over your life . . . and into your world! Dr. David Herzog is the founder of David Herzog Ministries based in beautiful Sedona, Arizona. David is a dynamic speaker and bestselling author who appears often on TV and radio. He moves in creative miracles, healing, and signs and wonders worldwide. He also equips believers to operate in fresh revelation and the glory and power of God. David and his wife, Stephanie, have seen multitudes saved and equipped in practically every continent and in over 50 countries. David’s passion is to live in the glory of God and to bring the Gospel to as many souls as possible in every nation of the world.